Pioneer in the industry, we are engaged in presenting an impeccable range of UPS Battery. 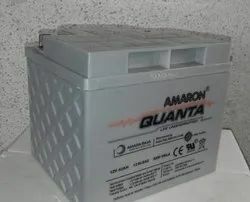 This battery is used in UPS system. The normal capacity of the battery is 12 AH where it lives for 8 to 12 years depending upon the usage. The output voltage is 12V and can distribute energy to the various electrical devices. 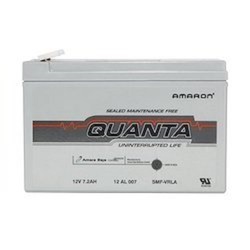 The most power efficient and less maintenance required battery is available in the market. At out unit, the battery is manufactured using quality metal alloys and under the supervision of deft professionals. By keeping track of latest market development, we are engaged in offering our clients an excellent quality Sealed Lead Acid Battery. This Acid Battery is manufactured under the guidance of our highly skilled quality controllers using high quality components in our high-tech manufacturing unit in compliance with international quality standards. Besides this, customers can avail the offered line interactive Acid Battery at market leading prices. 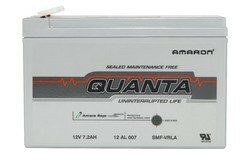 Looking for Amaron Quanta Batteries ?